Hello my make up addicted! 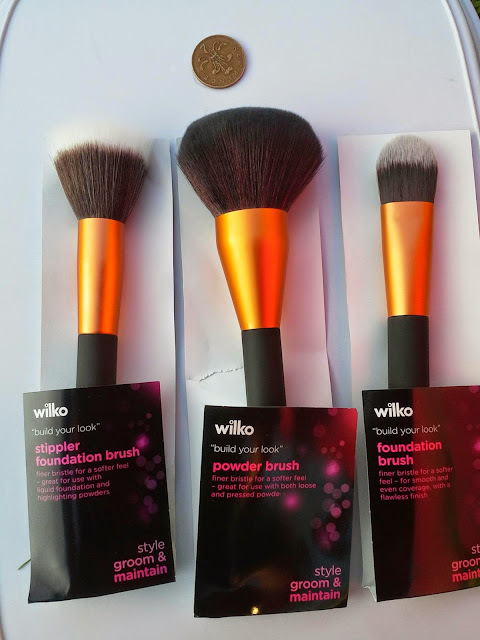 Did you know Wilkinson does make up brushes? 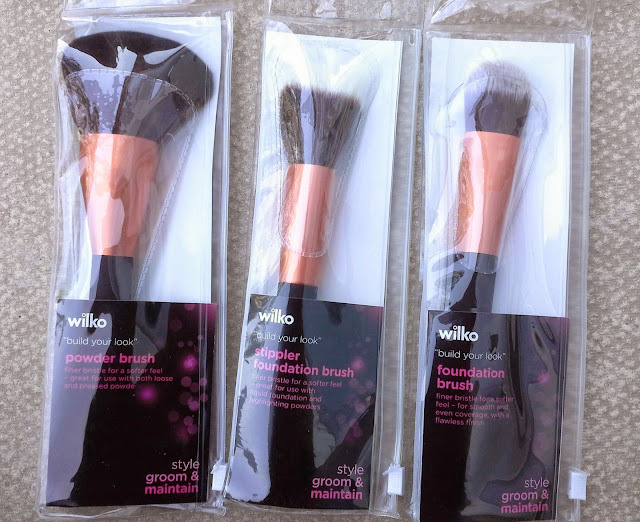 Wait, let me re-phrase this: did you know that Wilkinson does friggin AMAZING make up brushes? Few weeks ago I visited the shop in the Arndale and I was attracted by a nice and tidy display of make up brushes and beauty tools. Along with a cheap (but very pretty looking I must say) line of make up brushes I noticed some more professional pieces and needless to say, I felt the need to try them. 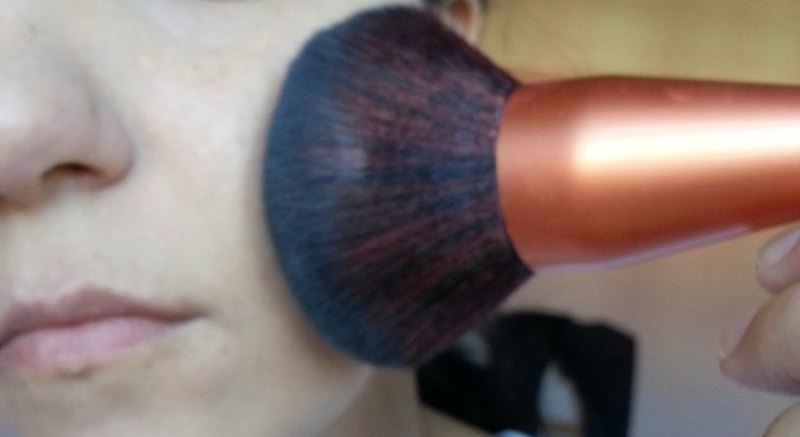 I purchased the foundation brush, the stippler brush and the powder brush. Despite these be the "premium" line, the price is very reasonable, considering I paid only £4 per brush. All of these brushes are made of synthetic hair and they are sold in reusable plastic pouches (very handy if you travel a lot and, like me, you hate the idea of loose brushes in your make up bag). 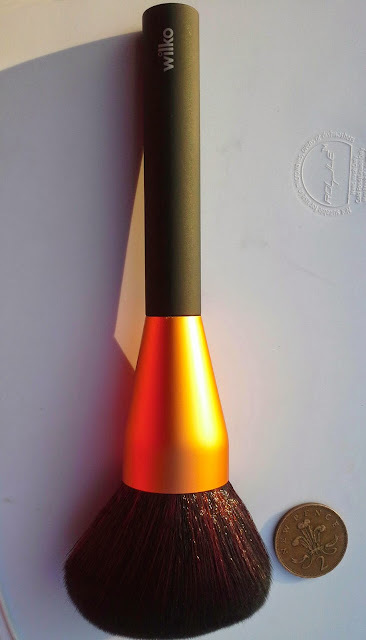 The handle is made of a solid black matte plastic where the orange gold ferrule is inserted. 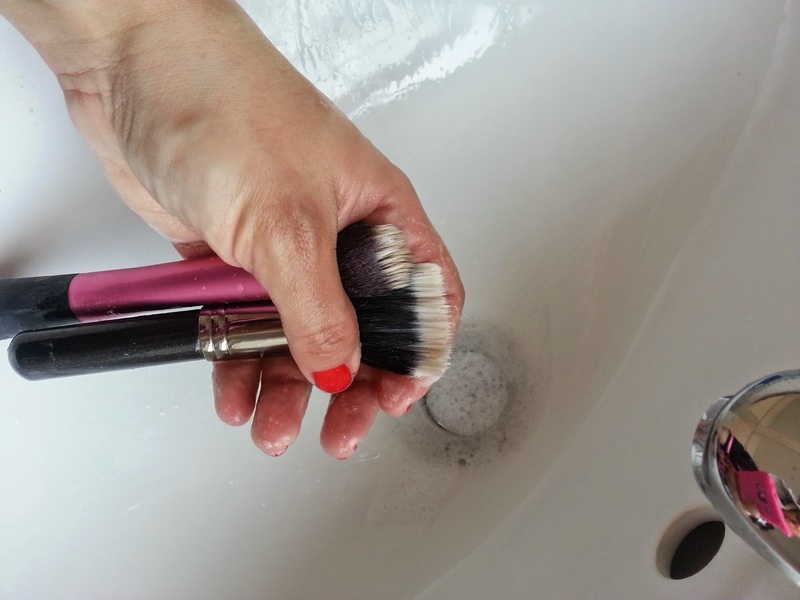 I have washed all the brushes twice and I didn' t notice any shedding or fading , hurray! 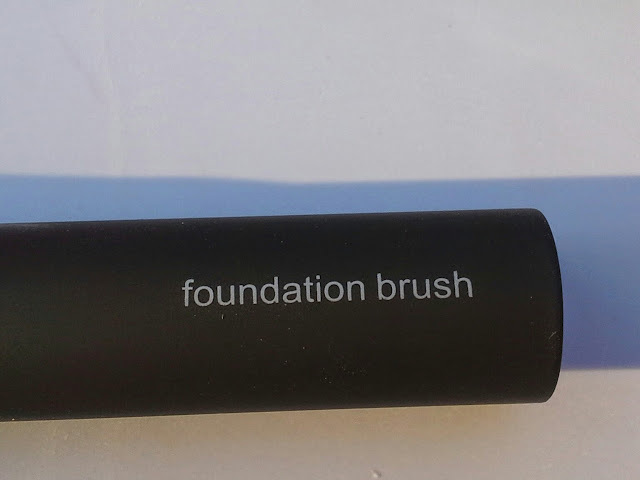 The foundation brush is flat, densely packed and slightly bigger than some other foundation ones I own, as the real techniques and mac ones. 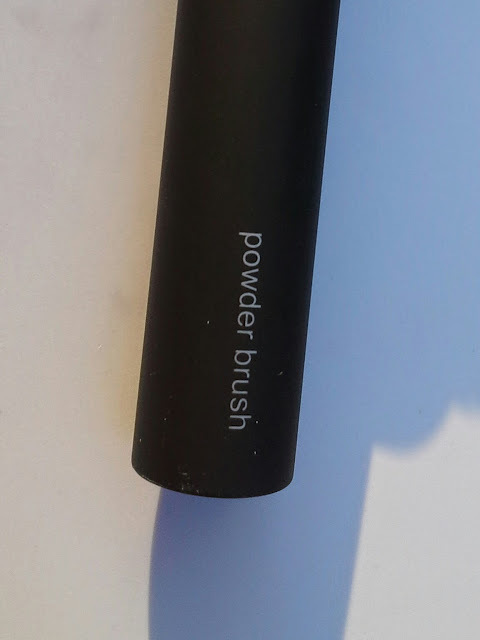 It's soft, blends the foundation quickly and easily and with the pointy tip I can adjust the application around the nose or underneath the eyes. 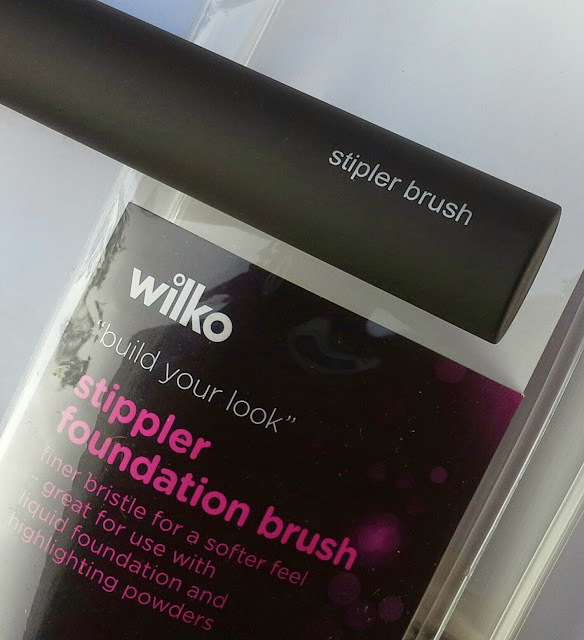 The stippler brush made me laugh a bit, when I noticed about the misspelled name on the handle and on the website, but I really couldn't care less cos it's a bloody good brush! It's just incredible how, for a fraction of the price, this duo fiber brush can easily be compared to a mac or a sigma one. 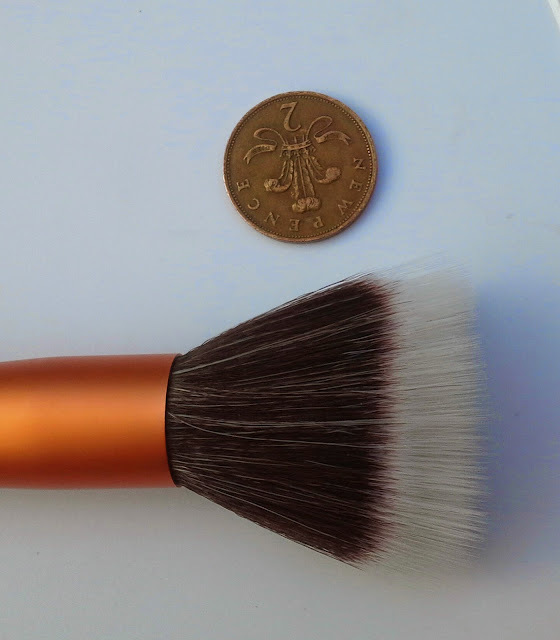 I have been using it to apply my bbcream (I am using the Bourjois BB bronzing cream at the moment) on top of my foundation just to give a bit of tan to my skin and with this brush I get a good airbrushed effect, not too heavy or cakey. Now, I saved the best for last. Enter my hero, the mega maxi giant powder brush. I love, love love this last one. It's so big that can apply my setting powder all over my face in two strokes. It's soooo soft and fluffy and again, for 4 quids I couldn't ask for more. 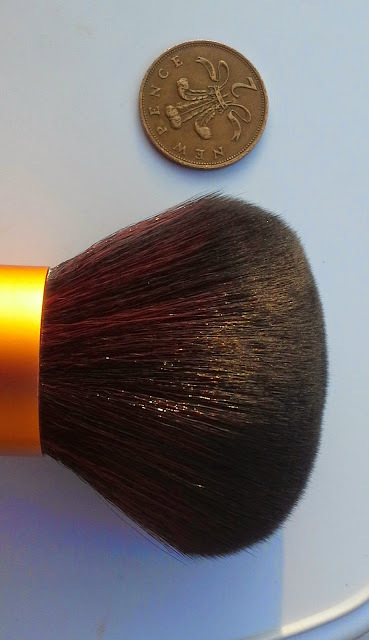 The big dome shape was not affected by the washing and blends nicely both pressed and loose powders. There were more brushes available in this range, as a double ended smoky eyes brush and some eyeshadow ones that are on top of my wish list. Well done Wilko, now we love you even more. This wants to be a Thank You card dedicated to the Dr.Organic Virgin Olive Oil Eye Serum. Thank you, my friend for being so nice to my delicate and sensitive skin. Thank you for not making my under eyes swollen and puffy like an airbag. Thank you for being refreshing and hydrating and for not making me feel like my eyeballs are on fire. Thank you for your super lightweight formula, so easy to apply and quick to adsorb. Thank you for helping me looking more human and less E.T. after all those night I forgot we are actually meant to sleep sometimes. Thank you for all your cuddles in the morning to my poor dark circles, when looking in the mirror is the mistake I would never do without you. Thank you for being so cheap (£9.49) and SO FRIGGIN BETTER than 39585 eye cream I have tried before that have been binned after giving me not just under eye bags, but a full set of suitcases. You are a dear friend and I will spend the rest of my life with you. 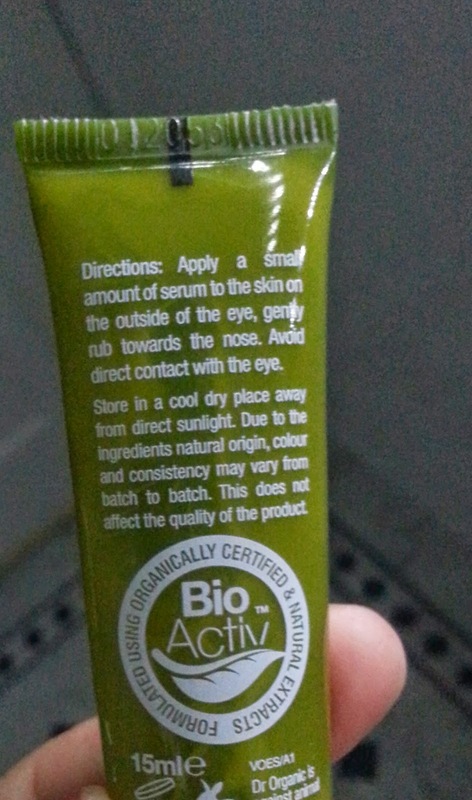 Dear Dr. Organic, don't even think to discontinue this serum. Are we clear on this? Dr.Organic products can be found in Holland and Barrett and online here. How are you? I suppose we are all happy cos tomorrow it's MONDAYYYY!! I am kidding..of course (insert scary music)! Did you have a nice week end? I didn't do a lot really, we have been going around parks and pubs enjoying the nice weather (and a couple of cakes mmm). The only thing was that Perfect Husband is not in a good mood, due to a little incident he had with the car: a poor 20 years old girl, that got her driving licence only 6 months ago, hit the back of his car, causing a tremendous scratch of 2cm of length (I measured it people, it's 2 bloody centimetres), so he is grief-stricken. Men. Anyway, back to our beauty talks. 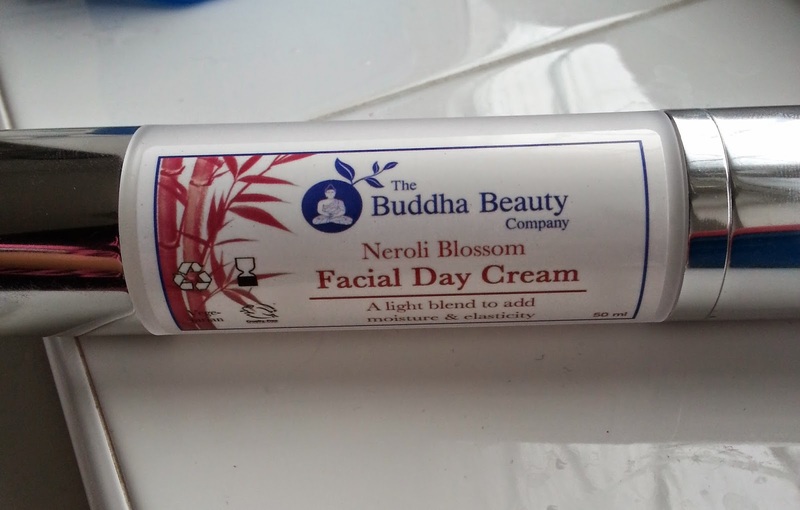 Today I am gonna introduce you to this face cream I was kindly sent by Manchester based The Buddha Beauty Company. The founder of this company has been travelling for few years all around the world and when he decided to open this company he tried to put the "feeling good" philosophy as the main concept of the brand. The "soul well being" is very well expressed in a range of skincare (face and body) and home fragrances (candles and diffusers) not animal tested, natural, organic, suitable for vegetarians and vegans (this is indicated for every product) and with fully recyclable packaging. 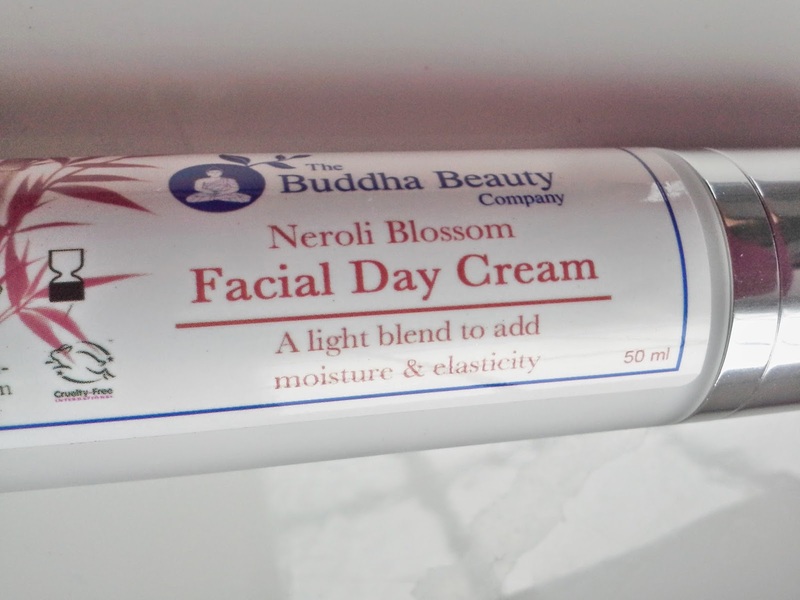 I was kindly sent the Neroli Blossom day cream (£12 for 50 ml). The packaging is quite solid and let me tell you that I love the pump dispenser, it's just more practical and clean than a jar or a tube. 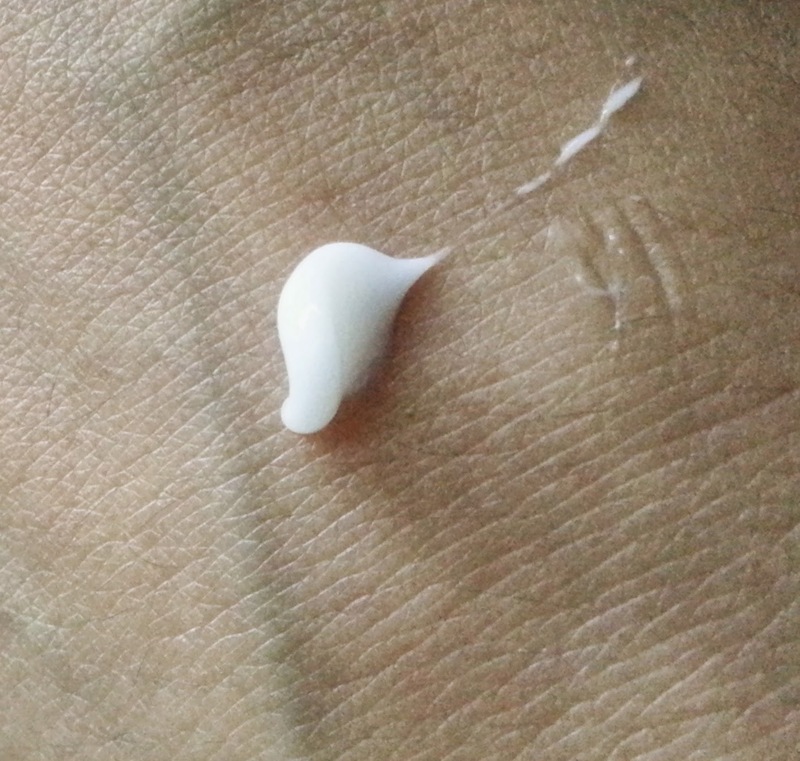 The product itself is a very lightweight emulsion, it looks more like a gel to me than a cream really. 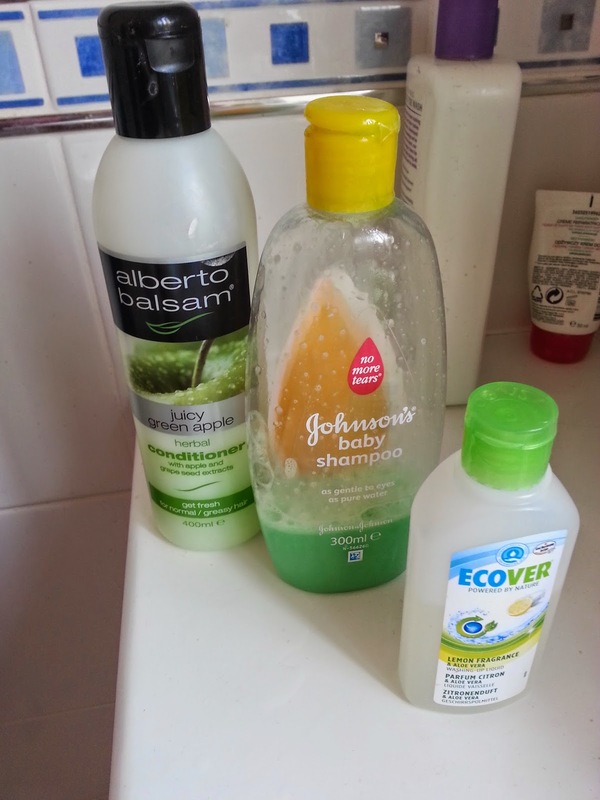 It adsorbs quickly and leaves my skin very soft and toned. I like to use a bit more if I am planning a long day out just because it works very well as a make up base. The fragrance is what I like most. 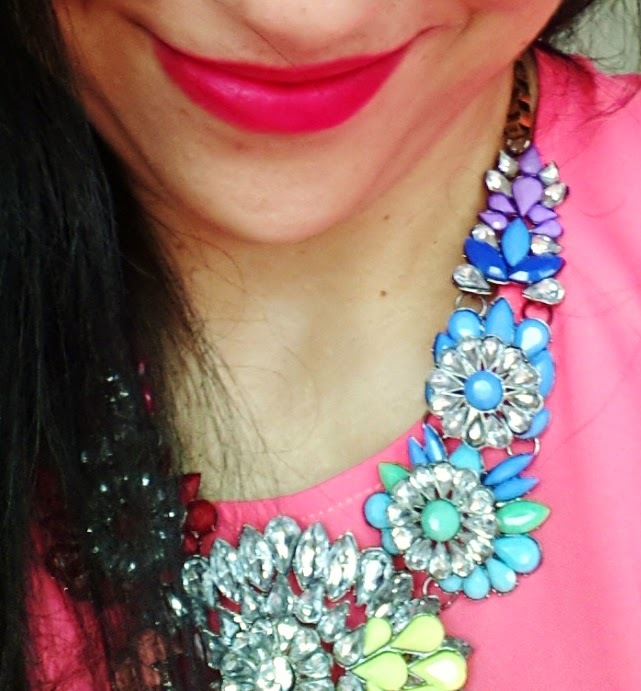 It's like burying your face in a bunch of mandarin flowers, it reminds me of walking across gardens of Capri and Sicily. I have done my home works and found that the neroli oil is extracted from the bitter orange tree, hence the sweet and intense floral scent of this cream. It has a relaxing and regenerative action on the skin that should promote an anti-aging effect. The cream is enriched with ginseng that improves skintone and elasticity. Do I like it? I certanly do. It's a lovely everyday cream that delivers good quality for a very reasonable price and I just want to love it more cos I know it's not packed with parabens and other rubbish. I have to tell you one last thing, the Buddha Beauty Company has got its own salon in the vibrant area of Chorlton, Manchester, where they offer basic services as eyelashes, waxing and facials, together with more specific offers as holistic treatments and life coaching services. I would recommend you to keep an eye on the "news" section of the website to be updated about the latest treatments available in the centre (I have got my eyes on you Pure Bliss Massage). Last but not least, well done guys giving the chance to support few charities with every purchase done on the website! Now let me go, I need to offer a shoulder to cry on to that man and his stupid poor car. Stop whatever you are doing now and listen to me: there is a new lipstick around and it's bloody good! 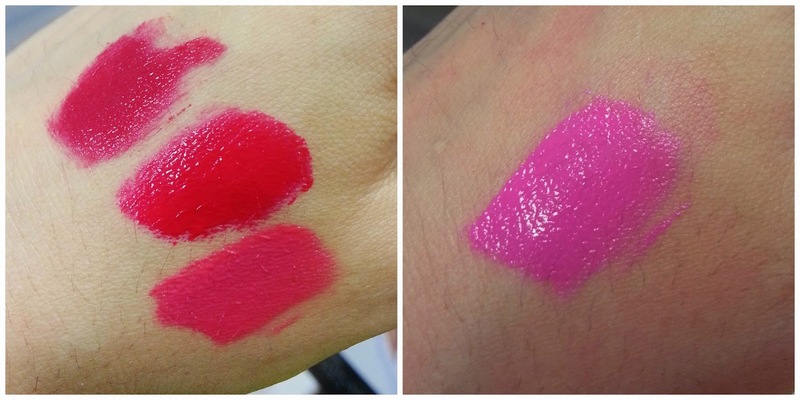 If you loved the Bourjois Rouge Velvet, you are gonna adore the new liquid lipsticks (told you this is the year of the lipsticks) launched few weeks ago by L'oreal Paris. 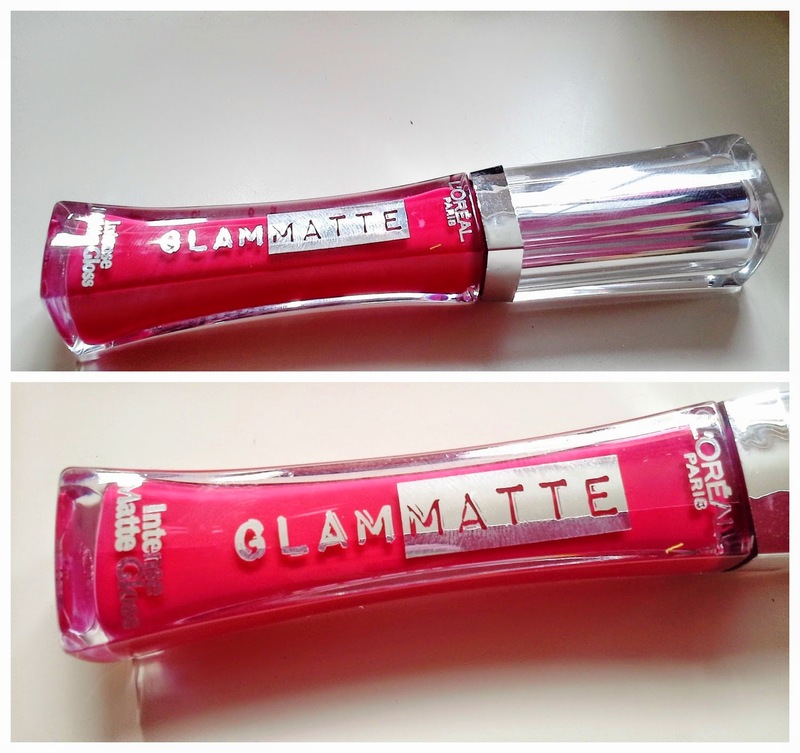 The L'oreal glam matte is heaven on earth if you like bright, matte, resistent lipstick. 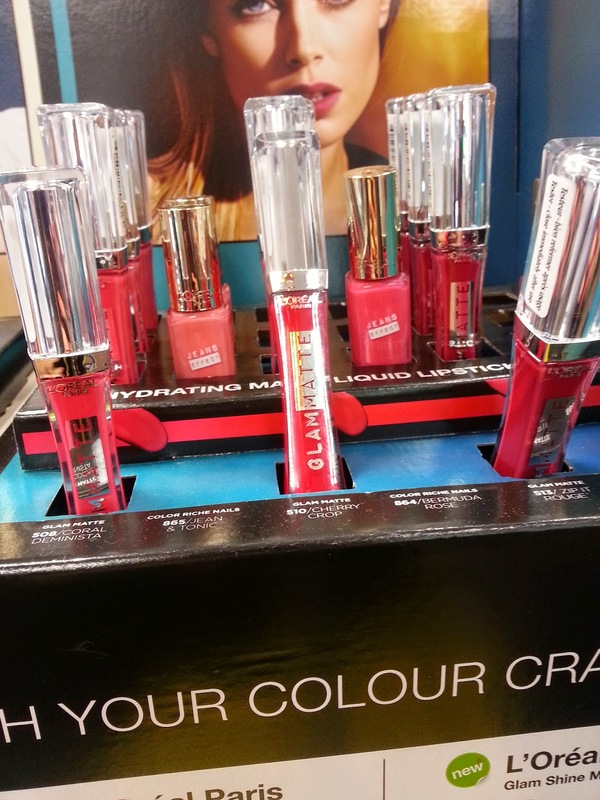 As the Bourjois ones, this is a kind of hybrid in between a lipstick, a lipgloss and lipstain. 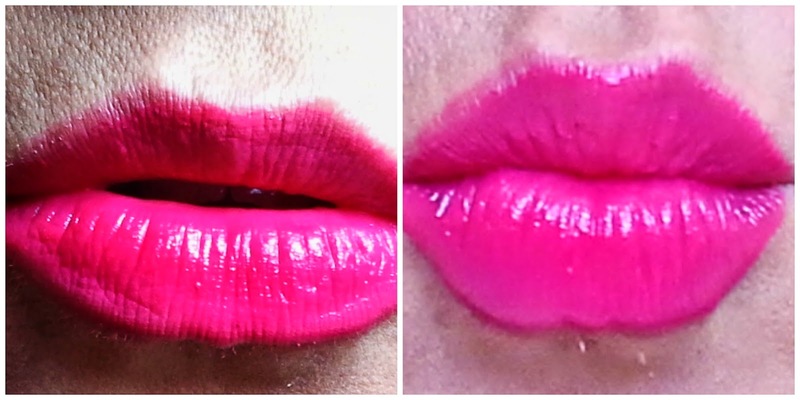 It applies smoothly with an even consistency on the lips without resulting strikey or sticky. 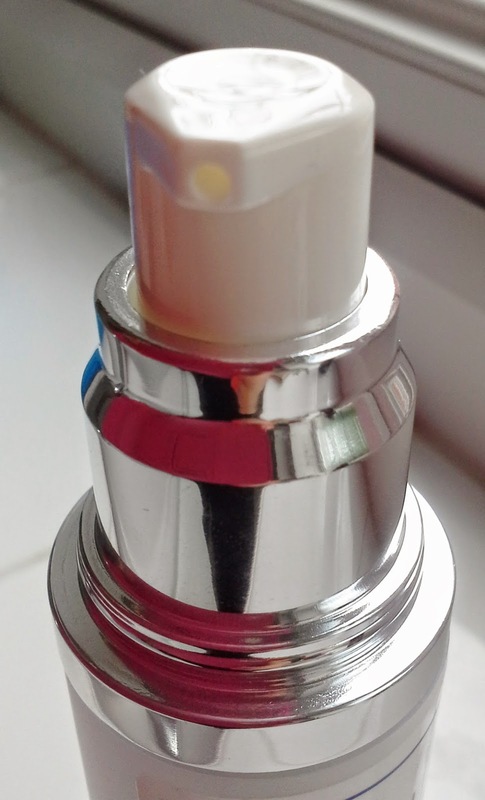 At first, the result is quite glossy and soft that it really gives you the sensation of wearing a lipgloss but very slowly dries out to a beautiful matte texture without any flake or patches all around, gives that feeling that you are not wearing anything on your lips and then you look in the mirror and Surprise, lipstick is still there! 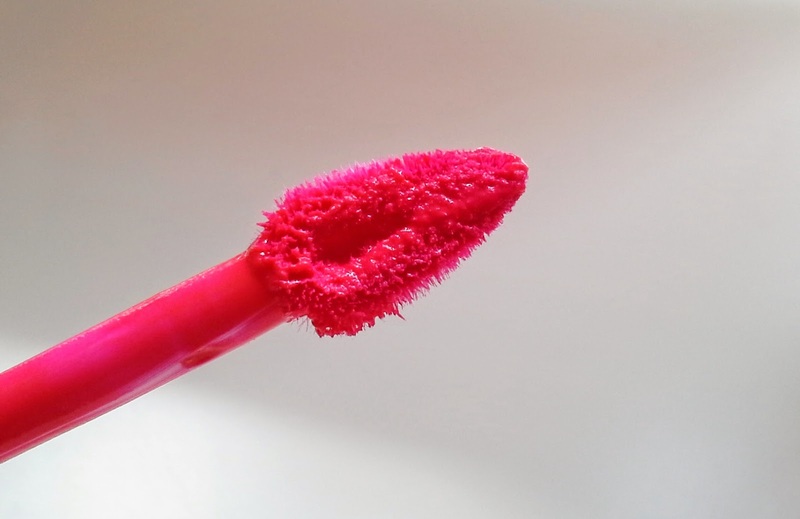 It does have a sponge doe foot applicator and comes in 4 shades (but I don't understand why on the L'oreal official website there are only 3) all on the red and pink tones. 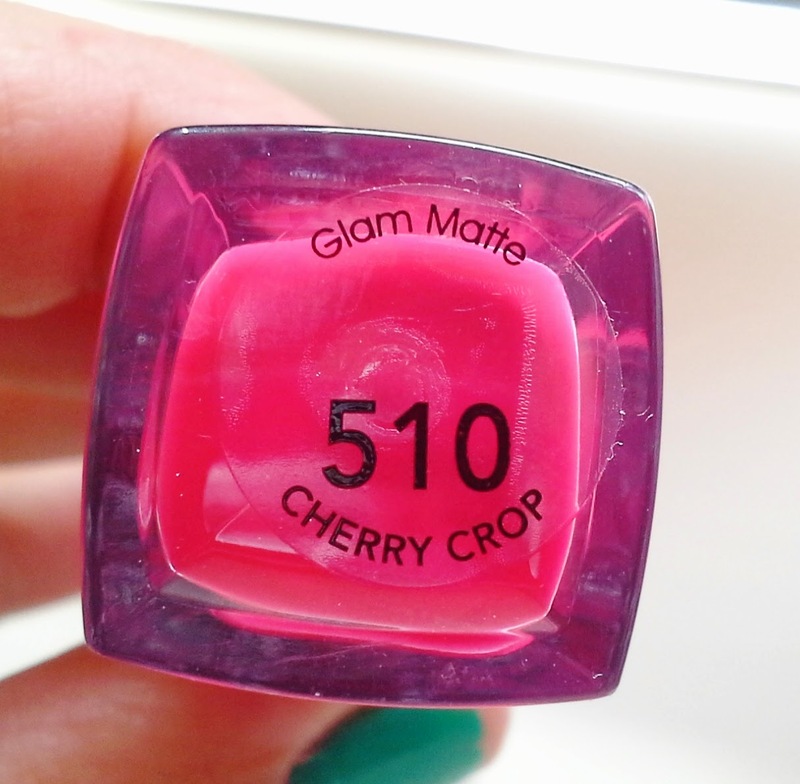 I swatched all in Superdrug (that has got at the moment a very convenient 3x2) and decided to go for the bright cherry pink, number 510 Cherry Crop. 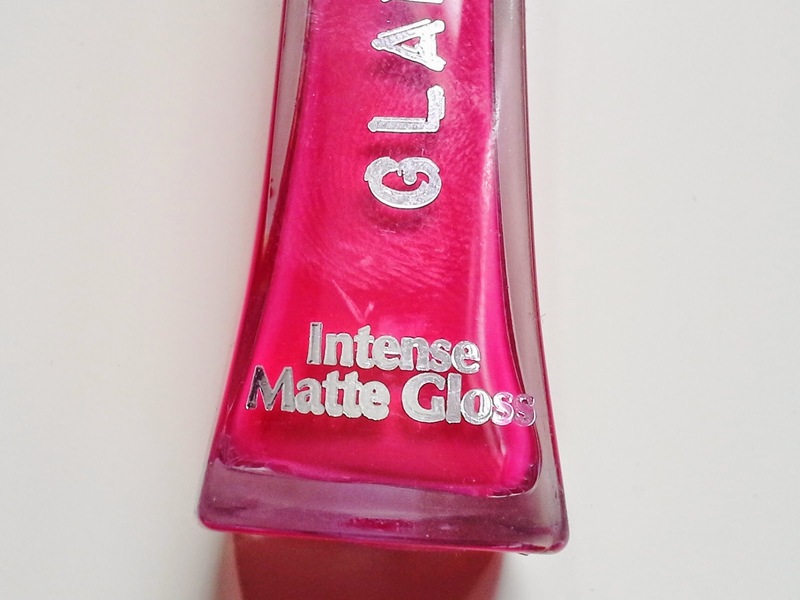 It's a deep reddish pink and as all the glam matte is highly pigmented. I am enjoing applying two coats, the brightest the better! As I told you at the beginning of the post, I prefer this to the Velvet Matte in terms of application, consistency and long-time effect: the shade stays vibrant without fading for a long time (you will probably forget it's still there!). Now I kiss you all good night and I'll speak to you soon!